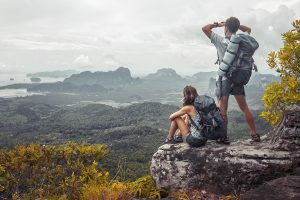 When going hiking or while traveling, a backpack is an indispensable companion. 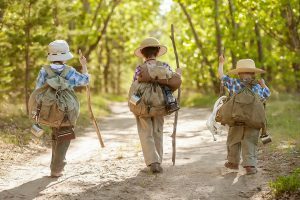 A great backpack is one that can be easily carried, and where all your belongings are kept safe while enjoying your outdoor adventure. However, a bad backpack may ruin your day, especially when it is made of cheap fabric that can easily tear, or when it cannot be reliable during the rainy season. It is essential to have a good backpack, which will protect your gear, even in the worst weather. Since there is an overwhelming number of backpacks available on the market, here is a conundrum: water-resistant or waterproof? Beware of some manufacturers that use these terms loosely and interchangeably. Consequently, a knapsack could be labeled as waterproof whereas, in reality, it is only water-resistant. Therefore, before going online and purchasing your next backpack, let’s review some differences between a water-resistant and a waterproof rucksack. A water-resistant backpack will prevent the water seeping into the bag at least for a while, but sooner or later, the water will eventually be able to get into the rucksack. So, when researching for a knapsack that will keep the water away from your belongings, there are two key elements that you need to pay close attention to, namely the materials used and the construction of the bag. The materials used for making water-resistant bags are the nylon, Rip-Stop Nylon, Cordura, and polyester. Those fabrics are made of fibers which are woven very tightly together, but there are still gaps from where the water can get through. Thus, to keep the inside of the bag dry, the materials are either coated or treated with water repellent products. The water-resistant bags are usually put together through sewing. As a result, there are many needle holes present. To prevent the inside of the bag from becoming wet, you will need to coat the seams and the fabrics with water-repellent products. Such products include polyurethane (PU), polyvinyl chloride (PVC), thermoplastics elastomers (TPE), and even in some instances, Teflon. However, over time, the coating will wear off, and the backpack will no longer be water-resistant. As for the zippers, in order to make them water-resistant, there are two options. The first one is to use a polyurethane coating over the zippers as a barrier to water, whereas the second alternative is to cover the zipper with splash guards made of water-resistant materials. Because of the more traditional assembly of the water-resistant knapsacks, they are often more stylish, have many compartments and zipper pockets available, which turns out to be very convenient when looking to pack your belongings in an organized manner. When Do You Need a Water-Resistant Backpack? In fact, 99% of the time, a water-resistant bag is sufficient for most outdoor activities as you only need to shield your things from adverse weather conditions. 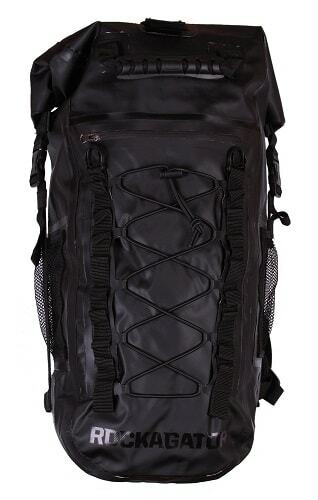 Such backpacks can be used for camping, hunting, hiking, mountain biking, and so on. Now if you worry about water getting through your hiking backpack and don’t want to spend a fortune for a truly waterproof bag, your best option is to buy a water-resistant rucksack with a rain cover! By doing so, your belongings will stay bone-dry. Here is a quick review of some of the best water-resistant backpacks that can protect your valuables against rain. 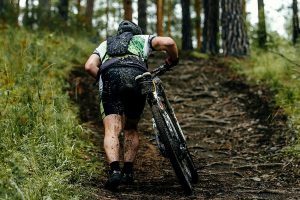 The ONEPACK is a water-resistant, high-capacity backpack and highly recommended for hikers and cyclists. It is a 50-liter size bag with a load-bearing capability of up to 40kg, enabling you to carry all your essentials needed for traveling effortlessly. Adjustable waist and shoulder straps to fit many heights and sizes. Comes with two front zipper pockets for storing all your gadgets. Comfortable, breathable mesh shoulder straps. 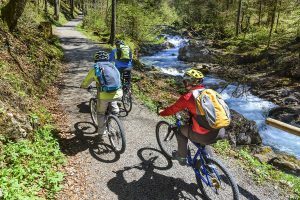 A perfect backpack for hikers and cyclists, the HOPSOOKEN can be folded when unused, and when it is needed, it can accommodate 30 liters of the load. Aside from its spacious main compartment, it also has two zipper pockets for holding small things. It is very comfortable to use because it is lightweight and has a sturdy construction. Here are some details of this backpack. It is lightweight, which makes it the favorite of many hikers. Stylish and very cool to look at. Ideal for hiking and long traveling. Water-resistant, which protects valuables inside the bag. 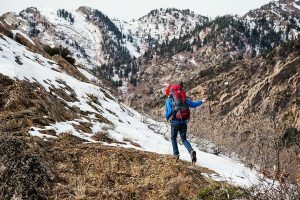 The Fencher 85L is a water-resistant backpack that can be used by hikers, travelers, and cyclists in any weather conditions. It comes with an internal aluminum frame which makes it stronger for carrying heavy loads. Since it is built with aluminum, it leaves a gap between the backpack and the back of the carrier where air can flow. This design can reduce the pressure on the spine, and is particularly useful during long travel. It is also equipped with zipper side pockets and a waist belt. With a capacity of 85 liters, which allows more to be carried inside the bag. Its waist strap and chest strap can be easily adjusted. First off, as the name implies, waterproof means to be impervious to water. Therefore, the backpack can be submerged underwater for a while, and your belongings inside will remain bone-dry. What makes a backpack watertight, can be summed up to two things, the materials used, and its construction. To get a watertight bag, you must prevent the water from getting inside the bag. Therefore, choosing the right fabrics is paramount. Ideally, you should opt for a material with very tiny pores so that the molecules of water can’t get through them or better yet use a material with no pores. Tarpaulin or Tarp is the material of choice for making a 100% impermeable backpack. Even when using a waterproof material, water can still get in, if the backpack isn’t assembled correctly. Traditionally, backpacks are put together through a stitching process. However, this method of assembly creates needle holes, which in turn are points of entry for the water. Consequently, the alternative is to make the rucksack using a very hi-tech process called Ultrasonic welding. This method consists of using an ultrasonic welding machine which emits ultrasonic waves that fuse the edges of the panels together. Therefore, there are no seams, and the two panels have been merged to become one! However, this method requires a specialized expertise as well as equipment, which translates into a more expensive backpack. Another thing to consider is the zippers. You need to have waterproof zippers for your backpack to be fully watertight. Be aware that often, some backpack manufacturers will say that their zippers are waterproof, but in reality, they are simply water-resistant. Furthermore, keep in mind that some sacrifices must be made if you really want a 100% waterproof knapsack. Like for instance, don’t expect to have a very stylish bag with many compartments and zipper pockets since they are all potential points of entry for the water. When Do You Need a Waterproof Backpack? Such 100% waterproof backpacks are ideal for kayaking, white river rafting, canoeing, scuba diving, snorkeling or any activities involving that the bag will be submerged underwater. Lastly, for a truly impermeable bag get ready to spend a huge chunk of money since these backpacks are very costly due to the method of assembly used, ultrasonic welding, and the waterproof zippers. 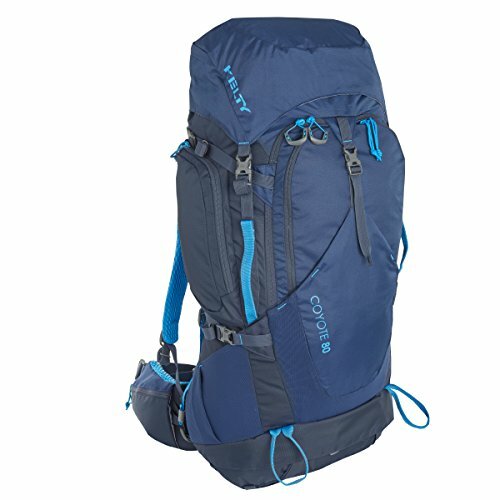 The following is a list and a short review of the best waterproof backpack available at Amazon. The Rockagator RG-25 is one of the best backpacks in its class. It is 100% waterproof which means water cannot penetrate through it, no matter how heavy the rain is. It has two deep pockets on its sides for easy access to the things that will be kept in them. The RG-25 backpack features a zipper pouch inside the bag which can safely hold small items, such as keys or a mobile phone. You do not want to have to dig through the whole pack each time you need them! This backpack is made for outdoors and varying weather conditions. It can totally protect everything inside it, no matter what the environment’s condition is. In fact, it can float on the water when it is packed and tightly sealed. Moreover, it is also highly visible at night because of its reflective stripes located on its back. Here are some details of the Rockagator RG-25. The front pouch is zippered and splash-proof. With the capacity of 40 liters. Will not get wet when dropped in water. It can float on the water when tightly sealed. As a premium waterproof backpack, the Phantom Aquatics Walrus 25 will match the requirements of an ideal backpack for traveling, be it a short trip, hiking, or a long vacation. It can be bought in different colors like yellow, pink, red and more. Aside from being waterproof, this backpack can also shield your valuables from sand and dust. It comes with a 2-way sealing system that will keep your belongings protected. It comes with padded shoulders for shoulder protection. With a back panel that is comfortable. Equipped with elastic webbing on its front. The Chaos Waterproof Backpack can become a great travel buddy for anyone. It comes with a very spacious area for valuables, and its material is 500D PVC Tarpaulin, making it waterproof. If you want a hassle-free journey, then you should check out this backpack. What is most exciting about this bag is its ability to float on water. Indeed, the Chaos Ready Waterproof Backpack is a very reliable rucksack for all weather conditions. A capacity of 22-liters to secure all your belongings dry. Made of heavy-duty 500D PVC Tarpaulin yet flexible. So now, what to choose? 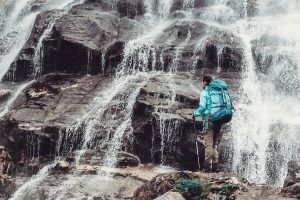 A water-resistant or waterproof hiking backpack? Well, it all depends on the intended use of the rucksack. If you plan on doing water sports activities such as white river rafting, kayaking, where you might submerge the backpack underwater, then I recommended you buy an entirely watertight bag. On the other hand, if you are only looking for a rucksack to protect your belongings from adverse weather conditions, then a water-resistant backpack is the way to go.